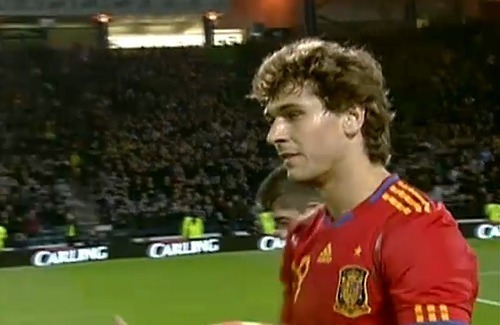 Fernando Llorente Shottland - Spain (2:3) 12.10.2010. . Wallpaper and background images in the Fernando Llorente club tagged: fernando llorente soccer athletic de bilbao national team spain 2010. This Fernando Llorente photo might contain وکٹ, ٹینس نواز, پیشہ ورانہ ٹینس کھلاڑی, ٹینس پرو, پیشہ ورانہ ٹینس پلیئر, پورٹریٹ, آرچر, closeup, تصویر, and ہیڈشوٹ.